It's time to take a nap! 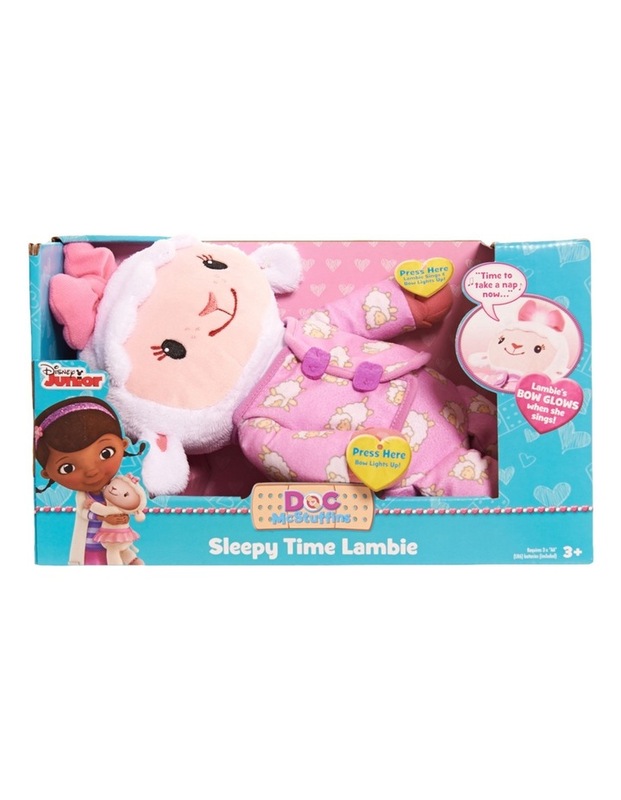 The little girl in your life will light up with delight when she hugs Sleepy Time Lambie! Soft & cuddly dressed in her PJ's, Lambie is the perfect bed time companion. • When you press Lambie's left hand she talks and sings as her bow lights up. • Press Lambie's other hand and her bow will glow to soothe your child to sleep.